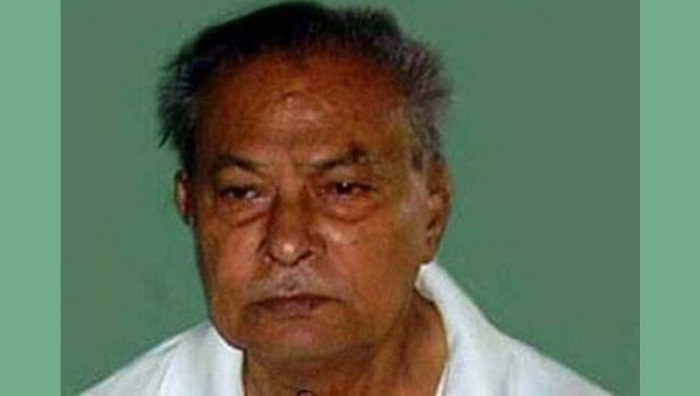 Bimal Roy Choudhury, a 1952 Language Movement veteran and a Freedom Fighter, died from old age complications in Jashore General Hospital on Saturday morning. He was 93. He breathed his last at 9:00 am, said his son Anup Roy Choudhury. Bimal Roy Choudhury was born on February 25, 1925, in Noapara village in the sadar upazila of Jashore. He was a son of Surendranath Roy Choudhury and Anila Roy Choudhury. He completed his BA (Pass) course from Jessore MM Government College in 1948. He got involved with the Language Movement since 1948 and actively took part in it and later was jailed for 15 days for his active participations. The language movement veteran also took part in the Liberation War in 1971 and later joined Awami League. He was also elected Chairman of Noapara Union Parishad in 1964 and continued his duties till 31 October, 1988. He left behind a son, three daughters and hosts of relatives to mourn his death.